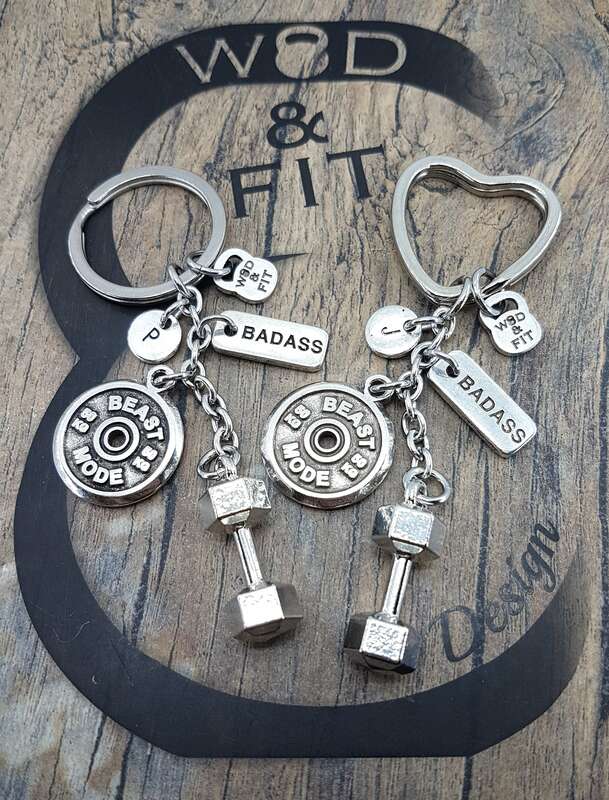 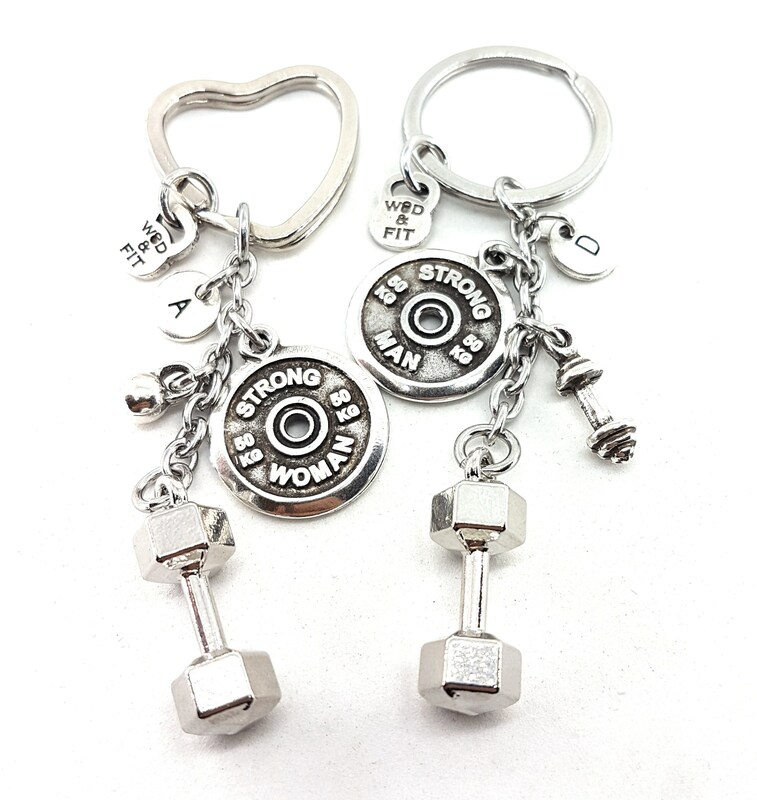 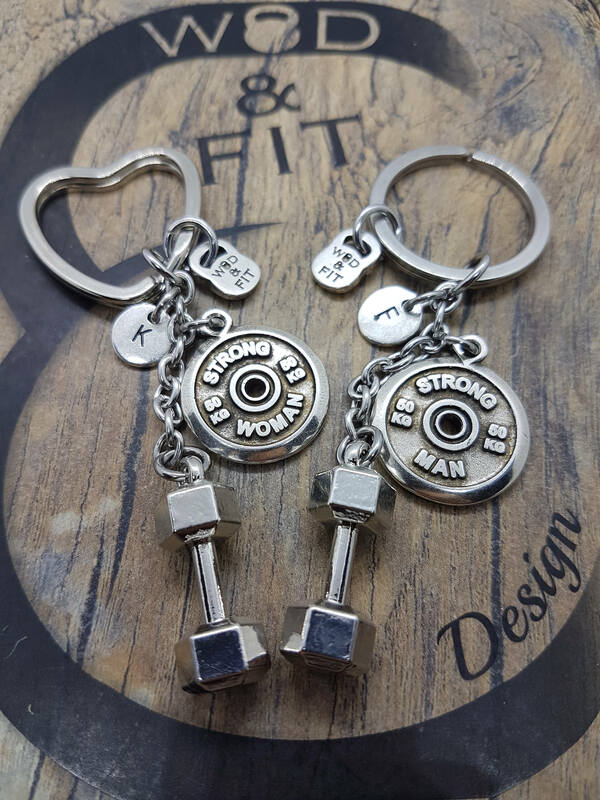 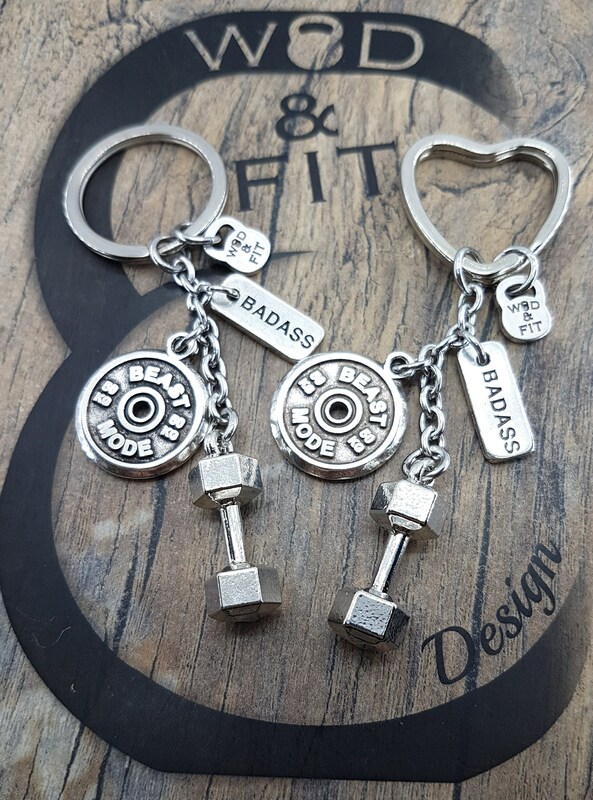 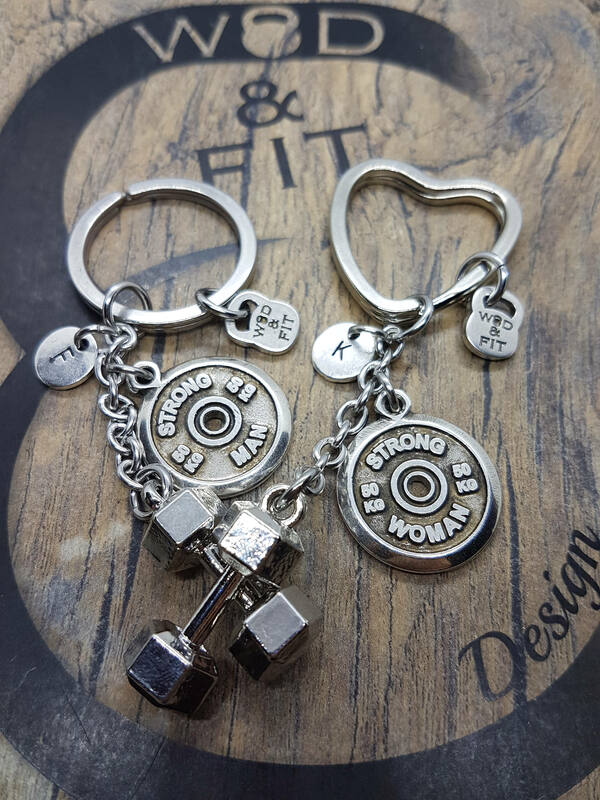 Couples Dumbbell Hex and FitPlate Workout Keychain Dumbbell Hex & FitPlate Strong Man - Strong Woman. 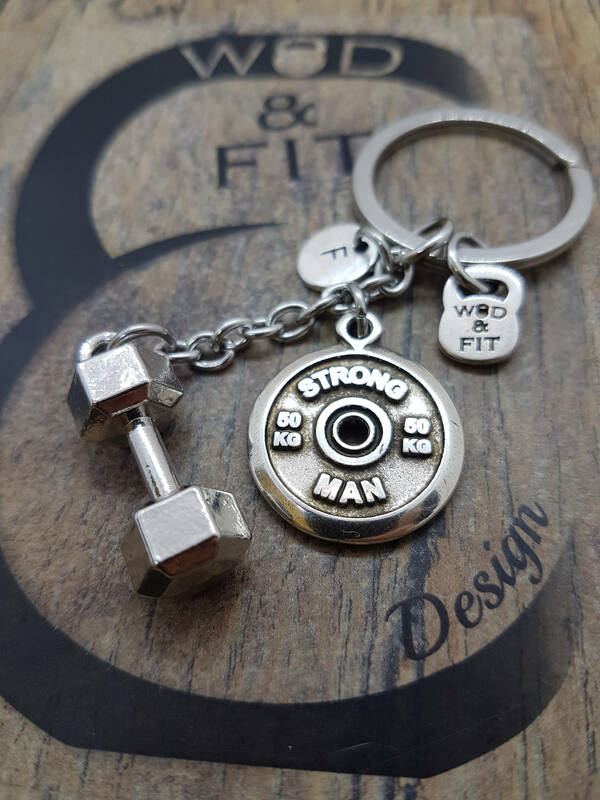 For him: Round Key ring, Dumbbell Hex,FitPlate Strong Man and initial letter in the dropdown. 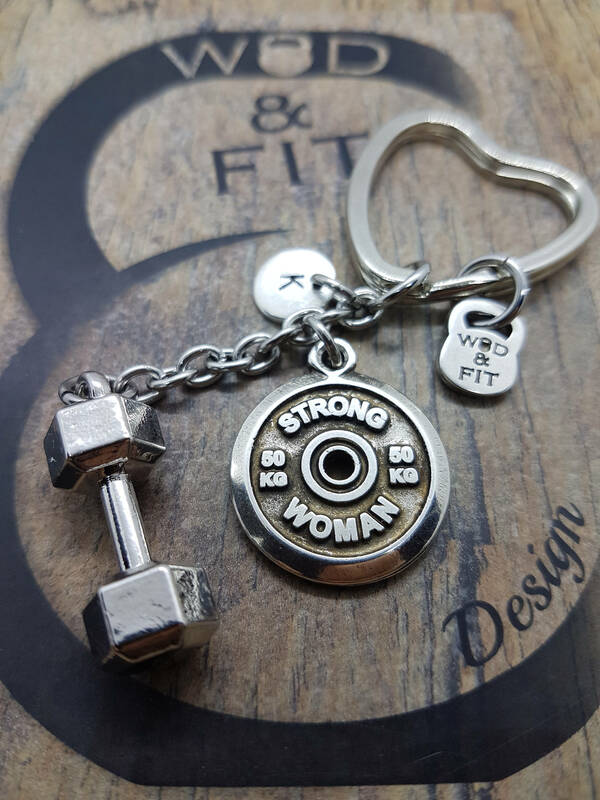 For her: Heart Key ring, Dumbbell Hex, FitPlate Strong Woman and initial letter in the dropdown.